Put FRETS on your Violin, Viola, or Cello. Quick to install and easy to remove. The FIDDLE FRETTER is a very thin flexed strip that adheres to the fingerboard. The Violin and Viola Fretters have 24 "RAISED" FRETS. 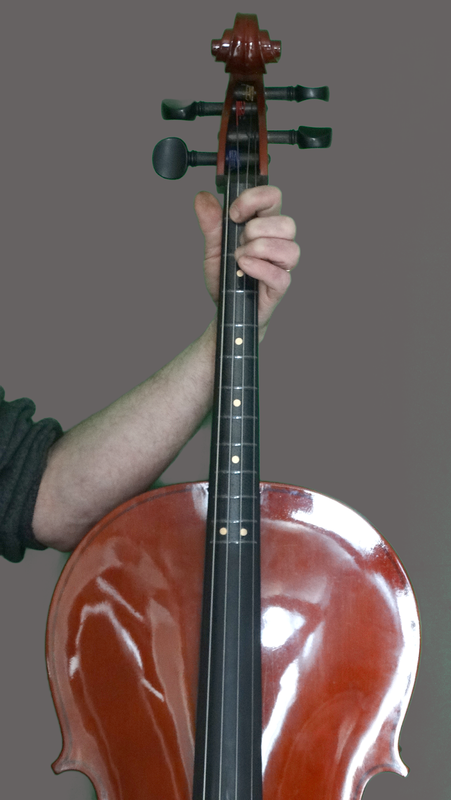 The Cello Fretter has 12 "RAISED" FRETS enabling the player to achieve perfect intonation and play in TUNE. 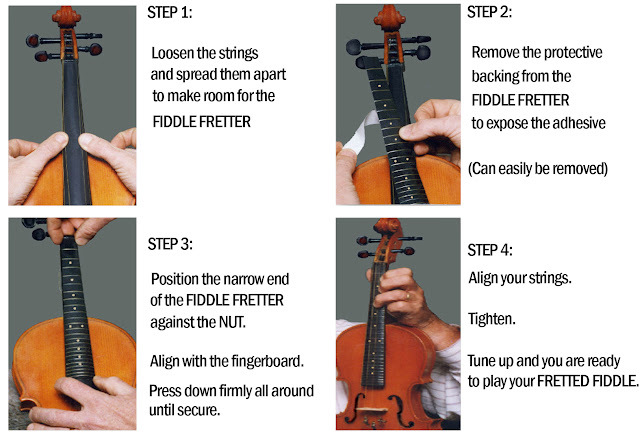 The Fiddle Fretter can be easily removed at any time. 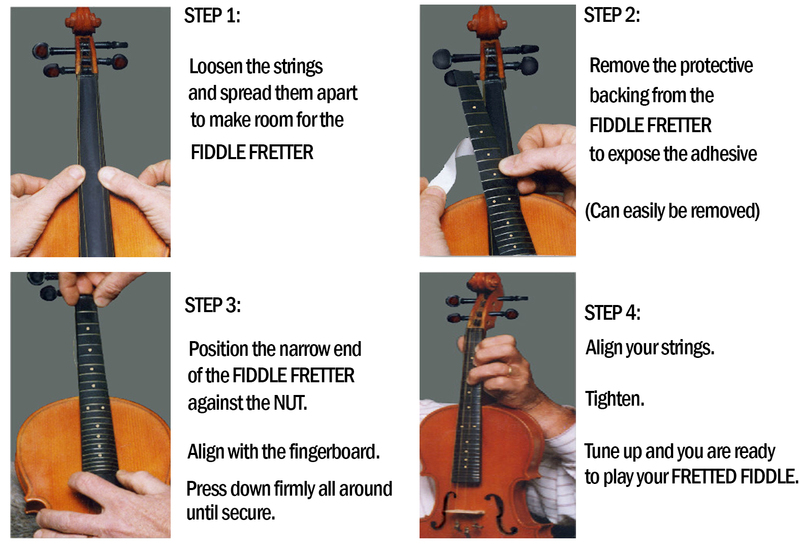 Developed and made by Canadian musician Peter Stoney, the Fiddle Fretter makes learning and playing more enjoyable and accurate. 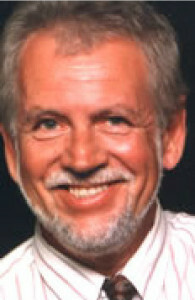 Peter Stoney is a Canadian bluegrass/country musician who plays banjo, mandolin, guitar and fiddle. The fiddle is not easy and he came up with this alternative for fiddlers who would like to play in tune using FRETS. You can contact Peter various ways. For custom orders such as 5 or 6 string fiddles, I need the width of the fingerboard at the NUT end in advance - HAPPY FIDDLING!